"To this day, I can smell the dirt and the fear. It’s been years, but it’s vivid in my memory." Vito de la Cruz’s parents were already separated when he was born, and when he was 6 months old, his father left him in the care of his 19-year-old aunt, Iris de la Cruz, a woman he called Nena. Vito’s extended family traveled the migrant trail, finding work on farms across the United States. At 5 years old, Vito joined them in the fields. He remembers the excitement of traveling in the summers with his aunts, uncles, and grandmother from tomato fields in South Texas, to cherry orchards in Ohio, and sugar beet farms in North Dakota. During the days, they worked side-by-side, and in the evenings, they gathered together for dinner. But their family’s migrant lifestyle was not easy; it was “equal parts hardship and poverty.” When he was 13, Border Patrol agents raided the farm where Vito and his family were working and rounded up undocumented workers. Witnessing workers’ fear of law enforcement struck a “profound chord in his being” and changed the course of his life. Vito had always excelled in school, with Nena’s encouragement. She, herself, was the first person in the de la Cruz family to graduate high school, and she later went on to college. 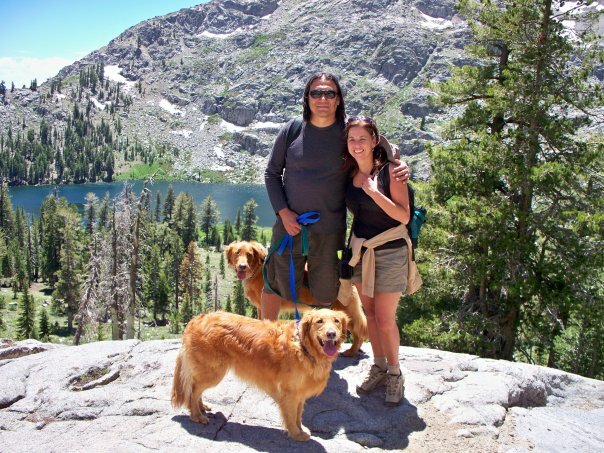 Following Nena’s example, Vito left South Texas for Yale University and then went on to attend law school at the University of California, Berkeley. After law school, Vito began volunteering with the United Farm Workers union and focused the early part of his legal career on immigrant and farmworker rights. Years later, he became a federal public defender in Nevada before moving to Bellevue, Washington, where he continues to practice civil rights law. 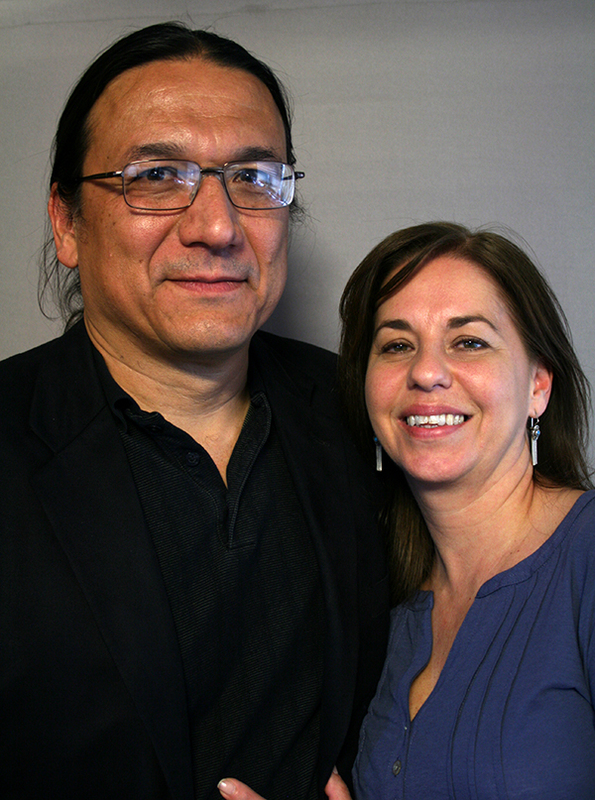 Vito came to StoryCorps with his wife, Maria Sefchick-Del Paso (pictured together above), to remember how his childhood and his loving Nena shaped his future. Vito’s story is one of 53 work stories featured in our new book, Callings: The Purpose and Passion of Work, now available in bookstores. Originally aired April 22, 2016, on NPR’s Morning Edition. Photo courtesy of Vito de la Cruz. VD: I’ve always called her Nena. She was like 19 years old and then, all of a sudden, this bundle of stuff, which was me, showed up on her doorstep. And she embraced parenthood when she didn’t have to. And the family, we used to migrate. We traveled the migrant farmworkers’ circuit. MSD: What was it like being a migrant farmworker? VD: Well, it was equal parts hardship and poverty. I remember an immigration raid that I experienced when I was about 13 in this tomato field. My family — we were citizens. And, there were other folks there — other crews. Many of them were citizens and many of them also were undocumented aliens. And this caravan of about five or six olive green vans stormed into the field, and people were stampeded into a ditch and beaten, and handcuffed and dragged away. I could hear the noise that the batons made on the heads and on their bodies. And my uncle grabbed my shoulder and said, “Just stay still.” And they just passed us by. They were chasing people who would run. To this day, I can smell the dirt and the fear. It’s been years, but it’s vivid in my memory. And I didn’t know exactly at that moment that I wanted to go into law, but it struck a profound chord in my being. I saw people being afraid of other people — people with authority. That’s not the way we should be. But also, if there’s one thing that my Nena gave me, it was a desire to learn and to succeed in school. MSD: Didn’t your Nena say that she was not gonna get married until you went to college? VD: Yeah, she did. So I went to Yale. It was a culture shock to the extreme. Our entire family could probably have existed for a month on all the food that was thrown away in just one dining hall at Yale. And now I’m a public defender. I defend people who have been accused of federal criminal violations. And it is an ongoing struggle, you know. Laws should be enforced; folks who violate it should be prosecuted — but there is a dignity that sometimes gets forgotten, a human dignity that gets trampled on. And if we forget that, then we forget our own humanity. So, if the things that I do while I live this life help improve somebody’s life, then that for me, that’s enough.